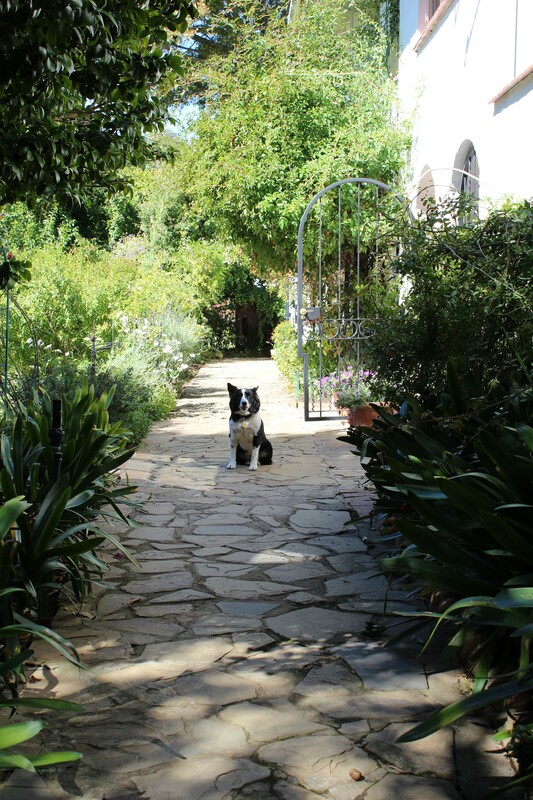 Klein Bosheuwel is the closest B&B to Kirstenbosch Botanical Gardens, only a 200m walk, guests are supplied with free passes to enter the Gardens. Our conveniently central location means that we are only a 15 minute drive to both the Cape Town Waterfront , Hout Bay and the top golf courses. There are many walks, hiking trails and biking trails, for all levels, starting within easy distance from the Guesthouse. Klein Bosheuwel has a large, beautifully established garden. 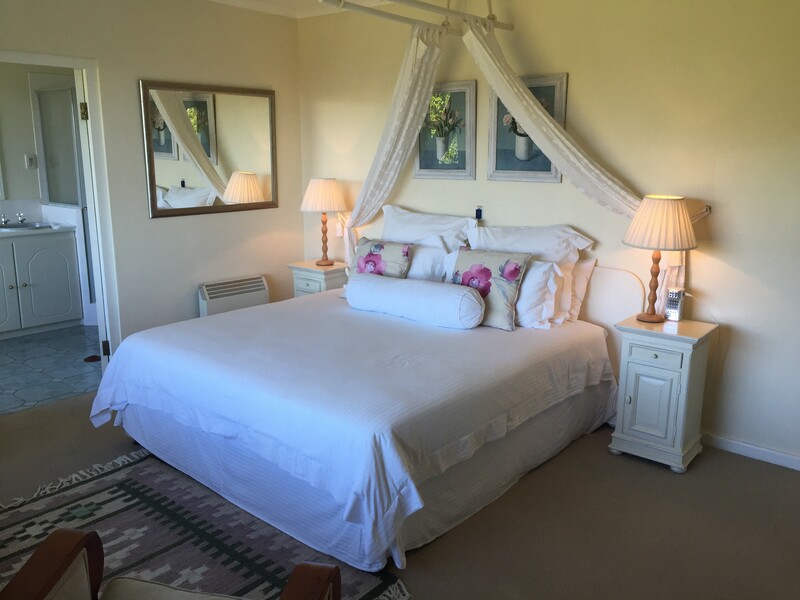 There is a secluded swimming pool with stunning views of the mountain and the Constantia Valley. Tim Scarborough and his wife Margie offer their winning blend of hospitality. 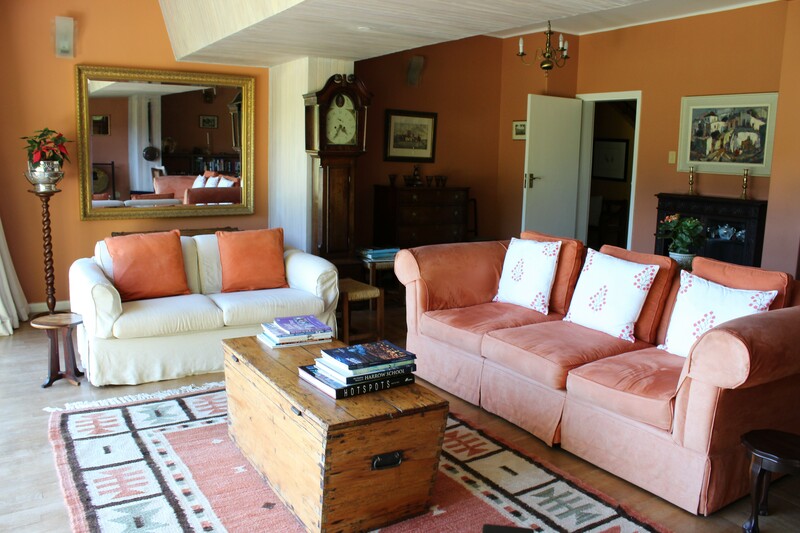 The Guesthouse offers four en-suite bedrooms situated in the main house, and a separate self-catering flat. One of Tim’s hobbies is vexillology (You might have to Google this!) so look out for the flag of your home country flying in anticipation of your arrival. 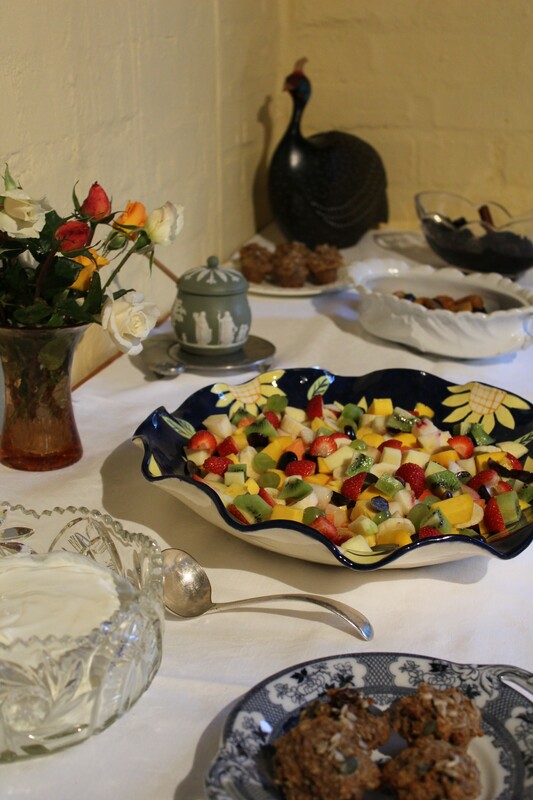 Delicious breakfasts are served in the conservatory, which overlooks the garden, and guests can watch numerous varieties of birds, feeding close by while eating in the conservatory. 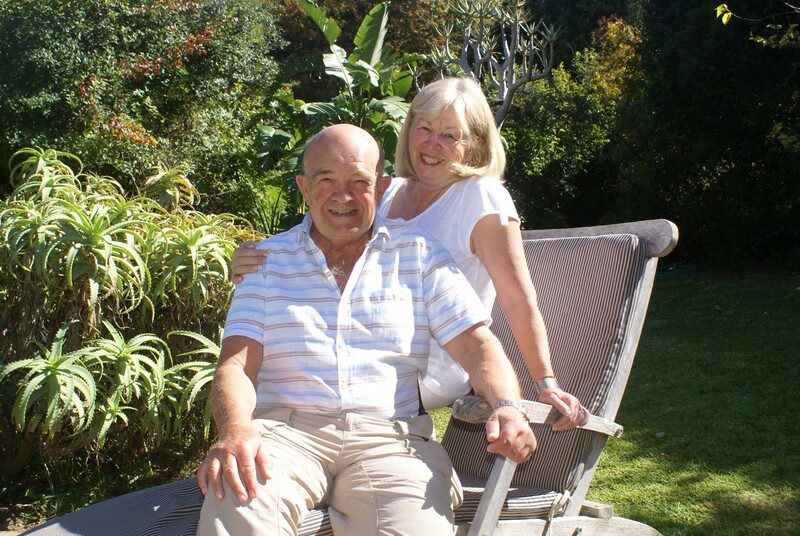 There is plenty of advice available for guests, who want to explore restaurants, the Constantia Valley wine estates, or the many other attractions that the Cape has to offer. Tim and Margie are only too happy to make reservations provide maps and guide guests to their destinations. For guests who choose to relax there is a beautiful established garden with roses, a variety of other flowers, shrubs, and trees, and winding paths. 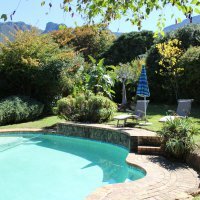 There is a secluded swimming pool with stunning views of the mountain and the Constantia Valley. Children are welcome and they love playing with Feather, the Sheepdog. 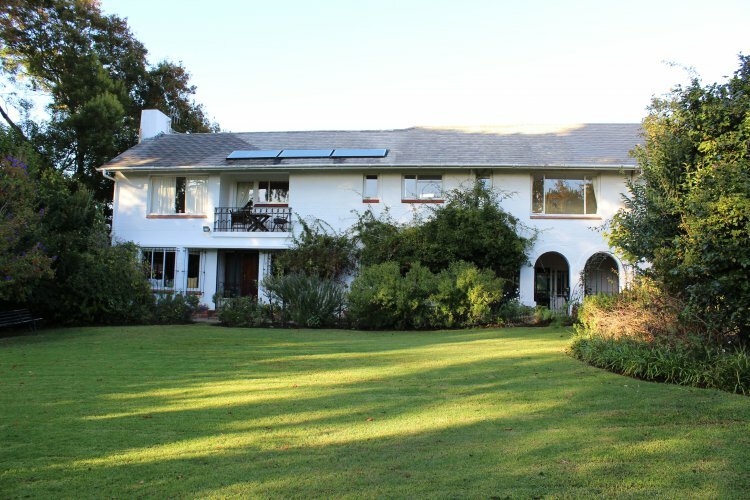 Klein Bosheuwel is situated on the ridge of Bishopscourt and we are the only property that overlooks both Bishopscourt and the Constantia Valley and the vineyards. 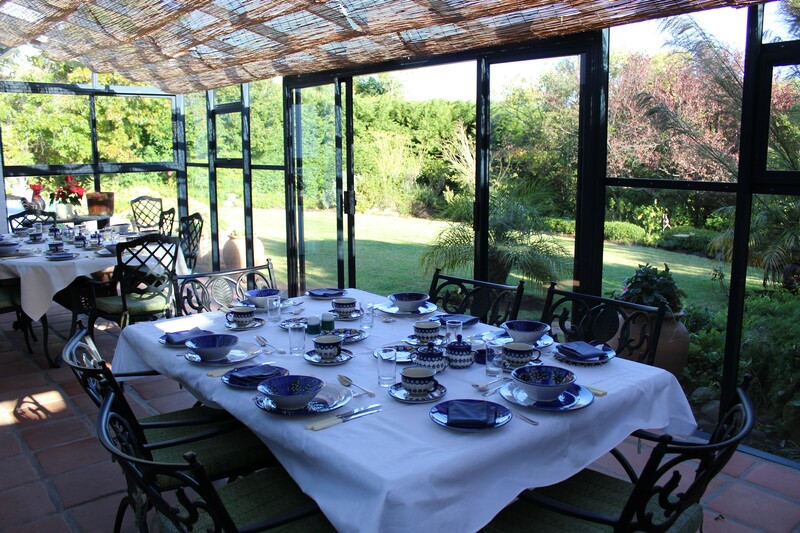 Our well established garden is an acre in size and is tranquil with a secluded swimming pool. 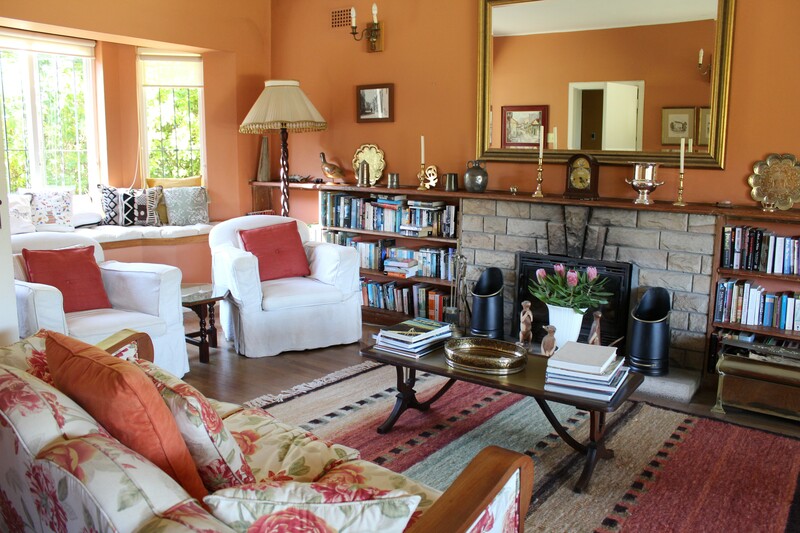 The owners live in a cottage situated at the bottom of the garden, leaving the house and gardens for the exclusive use of the guests, but we are close if you need us. 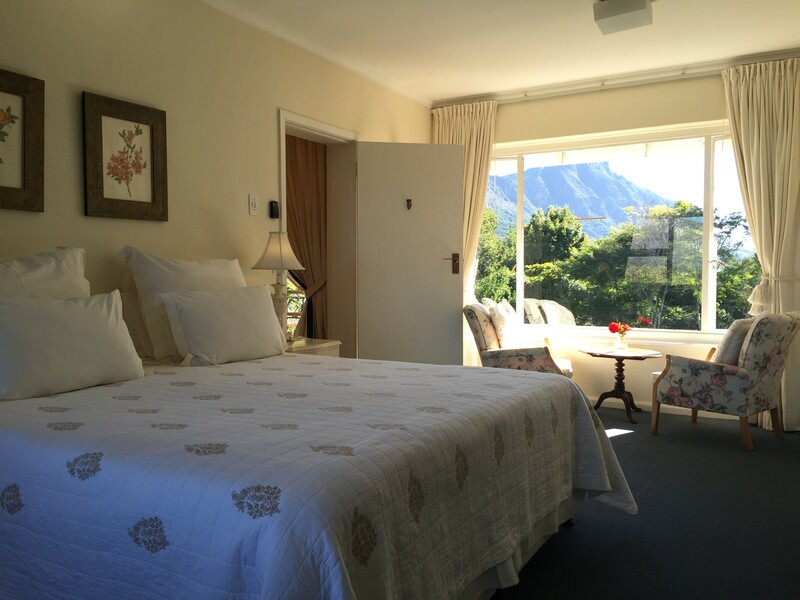 The Guesthouse has well appointed bedrooms enjoying views of the gardens, the valley and the mountains. 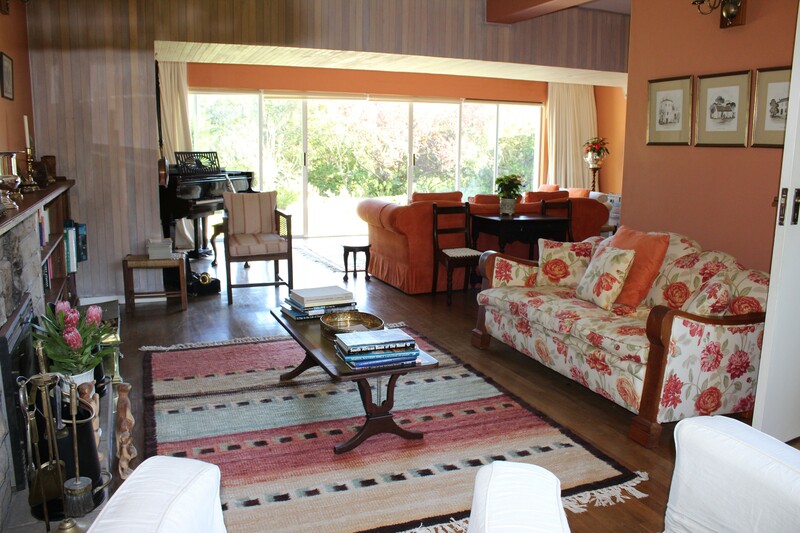 The large airy sitting rooms, patios and dining room are welcoming and relaxing for our guests.